Tony G, real name Tony Guoga is professional poker player and businessman from Lithuania. Tony G, real name Tony Guoga is professional poker player and businessman from Lithuania. Known for his outgoing personality and often controversial behaviour at the poker tables, Tony G has become an internationally recognized star through televised poker shows such as the Party Poker Big Game and the Pokerstars Big Game. His Style is extremely outward and he has a great ability to 'tilt' his opponents - He often intimidates and verbally frustrates opponents in to giving him information or making a decision that they wouldn't normally make. Tony is also the owner of media site PokerNews.com, and has other additional business interests such as his newly launched sports betting website 'TONYBET'. He's also a primary sponsor of the Lithuanian national basketball team. Fun fact: Tony G was the Lithuanian Rubik's cube national champion at the age of 11. Is Luke Schwartz the King of Banter?? When You Show the BLUFF! The Biggest Poker Blow Ups! Tony G’s Top 5 Birthday Blowouts! For Just $3000 the 2017 WSOP Marathon Bracelet Could be Yours! The Aria invited 15 players to join 30 lottery winners, leaving three spots yet to be claimed. Leon Tsoukernik’s long-running legal battle with Australian pro Matt Kirk has seen Bobby Baldwin named as the man backing Kirk. The 14-time WSOP bracelet winner turns out to be something of a sensation when the skates are on! CoinPoker’s $600,000 Giveaway Cash Game Race! 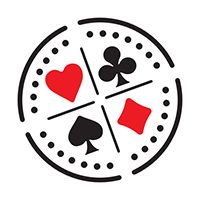 CoinPoker, the exciting new cryptocurrency poker room, are all set to launch their leaderboard race, and it promises to be a massive hit.